Sexual Fables offers an alternative history of Western arts and literature. Mary Magdalene: Was She or Wasn't She? Was Joan of Arc a Virgin? 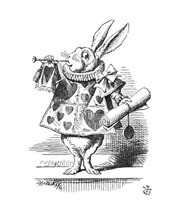 Today's experts are all cynics, authority figures, Alice's King and Queen of Hearts. Or the Red and White chess Queens perhaps? No fun at all. 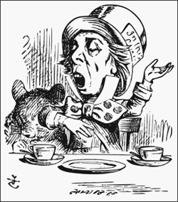 I'm with the Mad Hatter. Give me the crack in the teacup that opens a lane to the land of the dead.